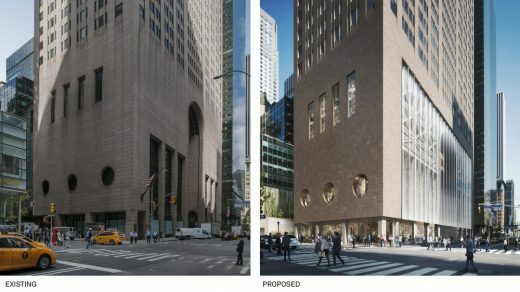 Snøhetta has been commissioned to reimagine the 1980’s postmodern tower located at 550 Madison Avenue. 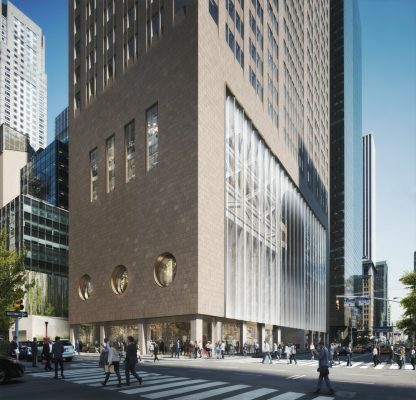 The renovation is the first major project to be announced for New York City’s East Midtown since its revitalization plan was approved earlier this year. While the recognizable top of the tower will remain a fixture of the New York City skyline as it has since its completion in 1984, the new design will transform the base into an inviting street front, extending the lively activity of Madison Avenue further south to 55th Street. Moreover, the adjacent public space will nearly double in size to create a lush outdoor garden for the public’s enjoyment. Snøhetta’s design will update the building with state-of-art systems and breathe new life into the building’s public, retail and office spaces for the contemporary needs of one of the world’s most recognized avenues. Completed in 1984, 550 Madison, formerly known as the AT&T Building and then the Sony Building, was originally designed by Philip Johnson for single-tenant occupancy, serving as the eponymous world headquarters for its corporate owners. Since the departure of the Sony Corporation more than a year-and-a-half ago, its office floors have sat vacant. The building’s redesign modernizes interior spaces to meet the contemporary needs of a variety of office tenants and adds high-quality amenities, world-class retail and restaurants. 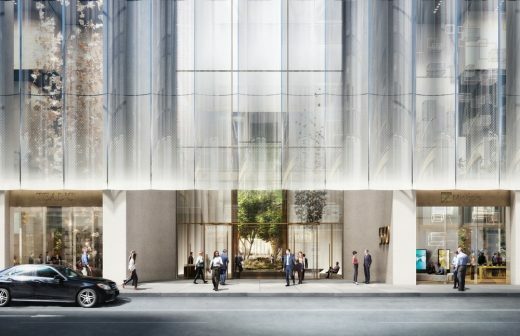 The renewed 550 Madison aspires to be a leader for commercial tower renovations in the future, targeting LEED Gold for sustainability, WELL-certification for healthy materials and well-being, and WIRED-certification for digital infrastructure. It will employ a Dedicated Outdoor Air Ventilation System (DOAS), ensuring tenants have access to a continuous supply of clean fresh air, while consuming less energy than typical VAV mechanical ventilation systems. 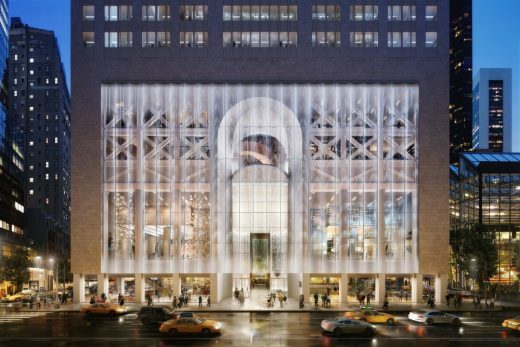 In leading the transformation of East Midtown for the rapid changes of the contemporary workforce, 550 Madison will ensure the area remains a thriving, world-class business district.